Consistent with the Children’s Online Privacy Protection Act (“COPPA”), this website is not intended for use by anyone under the age of 13. townandcountrygazette.com does not knowingly collect personal information from children through this website, or any of its websites. Minors between the ages of 13 and 17 must obtain the permission of their parents or legal guardians before making purchases of any type on this website. 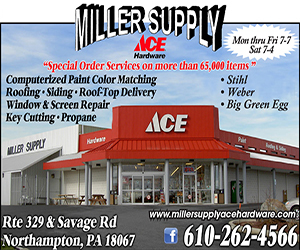 Townandcountrygazette.com may from time to time sponsor sweepstakes, contests or other events (“Promotions”) which require the collection, processing, and storage of individual contact information plus demographic information. These Promotions may also ask registrants to answer survey questions. Any personally identifiable information collected through Promotions will be treated as personal information. 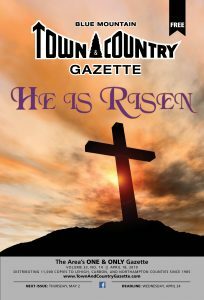 No purchase is necessary to enter a townandcountrygazette.com promotion. Townandcountrygazette.com may co-sponsor Promotions with other companies, in which case any information collected is likely to be shared with other participating sponsors, who may use this information. A registrant’s personal contact and demographic information will not be released to any third party organization other than named sponsors without the registrant’s consent. Townandcountrygazette.com may from time to time conduct anonymous surveys and polls of users to the website to obtain aggregate demographic information about the users. Such information may be compiled and shared in the aggregate with advertisers and other third parties but not personal details will be traceable or associated with specific individuals unless otherwise disclosed in any survey or poll rules. Should townandcountrygazette.com request other personally identifiable information from you, you are not required to share any such information to gain access to the website. While townandcountrygazette.com has taken reasonable steps to limit the uses of information provided by you, we cannot guarantee that the information will remain permanently secure. There is always a possibility that your information could be lost due to technical problems or stolen from our databases. Townandcountrygazette.com is not responsible for any such loss or theft or any other unanticipated security breach.